March 23 (CRICKETNMORE) - England cricket team was sent pavilion by the New Zealand bowlers on Day 1 at their 6th lowest total in Test cricket, whereas Day -2 was called off due to rain, but a new problem is coming out in this first Day Night test match which is being played at Eden Park, Auckland. According to the England speedster the balls that are being used in this test match are not round. This problem was easily observed as England team took their second new ball after an over of the restart of Day- 2. 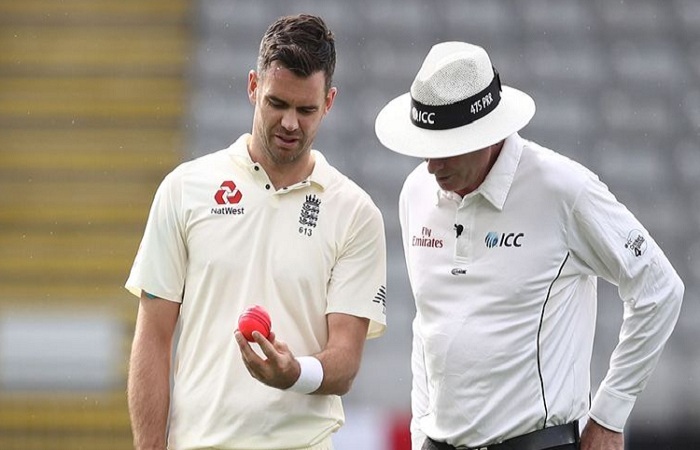 As per James Anderson Umpire also knows this but according to rules if the ball passes down the silver ring that is with the Umpire to measure the ball, in that case ball cannot be changed. So now they need to use the bowl which he and England didn’t found to be perfectly round.